Long gone are the days of only one overhead light in the kitchen (and strained eyesight as a result). Thanks to advancements in under cabinet lighting, you can have focused light shining down on your countertops. This makes things like chopping veggies and reading recipes so much easier. And the best part? You don't need to sacrifice style for function. 1. LED tape lighting. LED tape lighting is a flexible strip of lighting, sometimes with self-adhesive backing. To create a finished looking fixture, Wolfers highly recommends that LED tape be mounted inside an extrusion or channel, which can be surface mounted and even recessed into drywall. The channel, with a lens, protects the LED from damage and diffuses the light output for an even wash over your countertops. Below is an example of an extrusion. Not only that, but RGB LED tape provides a wide array of colors. With RGB, the "R" stands for red, the "G" stands for green, and the "B" stands for blue. By combining these colors together in various degrees and intensities, countless colors can be created. This means that you can choose just the right color combination to truly accent your space, while making it functional to boot. The lighting we choose for spaces in our homes has become much more sophisticated over the years (think undercabinet lighting, cove lighting, etc.). So why should closet lighting be any different? At Wolfers, we're proud to offer many great closet lighting solutions—solutions that are stylish and highly functional. Basically, we can break down closet lighting into two areas: overall illumination and task or accent lighting. We'll address each below. As always, if you have questions, please don't hesitate to ask. Even better, stop by one of our showrooms to speak with a lighting specialist, or visit our closet lighting lab in Waltham. One important note: Make sure all fixtures in the closet are closed or lensed. Bare bulbs near fabric or shelves can pose a fire hazard. Overall illumination. Without an overhead flush mount light, we'd be left fumbling around in the dark for our clothes, shoes, and other accessories. A flush mount can distribute light into all the corners of your closet, showing you the tops of shelves that recessed downlights might skim past. One of our go-to closet lights for great illumination is the Cirque Ceiling light from Tech Lighting. You can mount this light on the ceiling or a wall. It's available in three lamp configurations: incandescent, fluorescent, and LED. And you can choose from three stylish finishes—antique bronze, chrome, or satin nickel. Check it out in our Allston and Waltham showrooms, or online here. David Littman, founder of Hudson Valley Lighting, says his company is about more than just lighting—it's about a lifestyle. Littman explains, "We design and build beautiful fixtures for people who put quality first—for people who are not willing to trade-off that increasingly rare characteristic." He says that if a fixture looks great, but can't withstand the test of time, then what's the point? This is why Littman strives to create beautiful, functional pieces that people can pass on from generation to generation. As for where Littman and his team draw their inspiration from, the company's name offers a clue. Residing in New York's Hudson River Valley since its inception nearly thirty years ago, Hudson Valley Lighting doesn't need to look any further than its own surroundings—surroundings that are rich in history and natural wonder. The HVL website notes, "With the unrivaled cosmopolitan glamour of Manhattan, the strong architectural history of colonial settlers, the industrial grit of nineteenth-century riverside factories, and the botanical beauty of unspoiled wilderness all at our doorstep, you will discover that our design motifs are as varied and exciting as your decorating imagination." 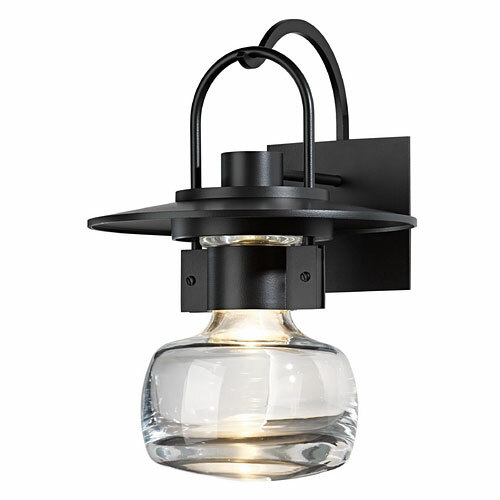 At Wolfers, Hudson Valley Lighting is one of our most popular designer lighting brands. We love the company's traditionally styled products with contemporary twists because they look great in a variety of applications. Below are some of our current favorites. 1. Washington Pendant. This four-light pendant, which you can see on display in our Waltham and Allston lighting showrooms, will add a touch of classic elegance to your space. The beautiful hand-blown glass speaks to this piece's superior craftsmanship. Available finishes include aged brass and polished nickel. 'Tis the season for delicious BBQs, lazy Sunday mornings sipping coffee on the porch, conversations (and s'mores!) around the fire pit, and so many other fun backyard activities we take part in with family and friends. Of course, nothing can ruin backyard adventures like poor lighting, which is why having a sound exterior lighting plan is important (think safety and security), while landscape lighting allows you to carry your personal aesthetic to the great outdoors. If you need help choosing fixtures or creating a plan, our lighting consultants are always happy to help answer your questions. In the meantime, we're unpacking new lighting products—products that celebrate the best in functional and elegant outdoor lighting. Below is a sampling, but we're getting new products in every day, so consider stopping by our Waltham or Allston showroom on the way home from work or on the weekend (yes, we have air conditioning!) to see these gorgeous products in person.